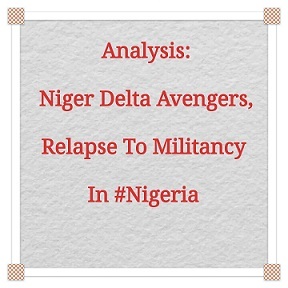 Even as the Nigerian Government deploys troops to contain the Niger Delta Avengers (NDA), it appears militancy in the region has become a trend as a new group: The New Delta Suicide Squad (NDSS) has reportedly bared its fangs. 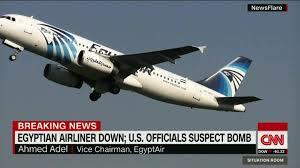 There are heightened fears that EgyptAir Flight 804 was downed by a 'laptop bomb' device similar to one which blew a man out the side of a passenger jet - Daallo Airlines Flight 159 which Somali militant group - Al-shabab claimed responsibility for. Armed kidnappers, at the weekend, abducted a lecturer, one Dr. Walter Ibe of the Department of Computer Sciences, Federal College of Education, Obudu, Cross River State, South-South Nigeria, from his residence and whisked him to an unknown destination. Dr. Walter’s abduction comes three weeks after gunmen abducted a lecturer in the University of Calabar and collected ransom from his family before his release. It has now been confiremed that the explosion from an improvied explosive device (IED) planted by near a military checkpoint at Biu-Damboa road, outskirt of Borno State, killed a soldier and four civilians. A woman and her baby and two other male adults were amongst the dead. Preliminary investigation revealed that the IED was buried there a long time ago but remained undetected until a tricycle mistakenly stepped on it. Military Declares War On Niger Delta Militants While Petroleum Minister Negotiates With Them. Mixed Signals? Incensed by the increasing threat that militants in the Niger Delta poses to the Nigerian economy, the Nigerian Military declared war on them yesterday. But it appears the Nigerian government is sending mixed signals to this effect given earlier reports which credited to the Petroleum Minister and his Niger Delta counterpart saying the government will negotiate with the militants. New Telegraph Newspaper reports that in the last two years, between 2014 and 2016, the series of attacks carried out by suspected Fulani herdsmen on various communities in Benue State have claimed over 984 people. 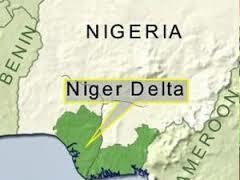 Also, 29,974 people have been displaced across the state, with properties worth over N40 billion lost to the attacks. Technology giant, Microsoft has finally joined the ranks of technology companies committed to tackling terrorism, violent extremism and radicalization online. Microsoft acknowledged that "terrorist content" has been posted to its consumer services, which include Xbox Live and Outlook webmail. 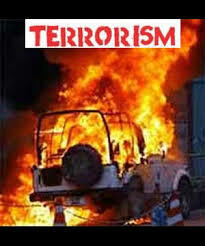 "Terrorism is one of the truly urgent issues of our time," said Microsoft. "We are committed to doing our part to help address the use of technology to promote it or to recruit to its causes." It's not exactly clear what Microsoft's anti terrorism strategy involves, but the company stressed that it would not censor results on its search engine Bing. Daily Post newspaper reports that Nigeria's Minister of State for Petroluem, Dr Ibe Kachikwu is of the opinion that the Federal Government may resort to dialogue with the Niger Delta Militants in a bid to end the activities of militancy in the region. 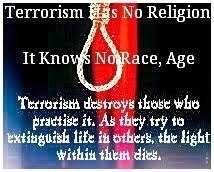 No doubt kidnapping for ransom and extortion (KRE) is a global problem. The gist is that this heinous crime has assumed dangerous dimensions in Nigeria. Kidnapping in Nigeria is vastly underreported. 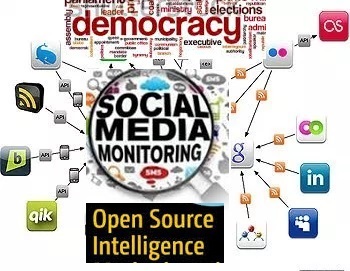 More often than not, it is the high profile victims of kidnapping - politicians, journalists amongst others in Nigeria that receive media attention and that of security agents. 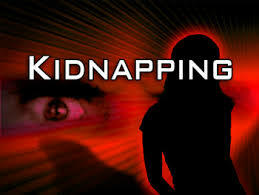 Nonagenarians, Statesmen, monarchs, clergies, even children are not spared by kidnappers in Nigeria. That two Catholic Reverend Sisters were recently kidnapped in Ondo State, South-West Nigeria and a ransom of N20 million was placed on them tells the abysmal level of moral decadence, desperation and growing level of insecurity in Nigeria. 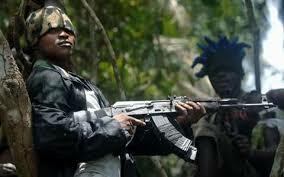 Just recently, it was in the news that Nigeria Police officers uncovered a kidnappers den in River State. 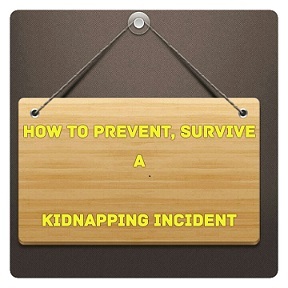 At the risk of sounding alarmist, kidnappings in Nigeria will not subside anytime soon if the remote and immediate causes are not sorted. Two staff of the Kogi State judiciary were on Thursday May 19, abducted by gunmen Suspected to be kidnappers and taken to an unknown destination.The News Agency of Nigeria (NAN) gathered that Mr Timothy Salihu of Upper Area Court, Lokoja and Mr Aliyu Okeme, a retired Inspector of Area Court were abducted at gun-point. 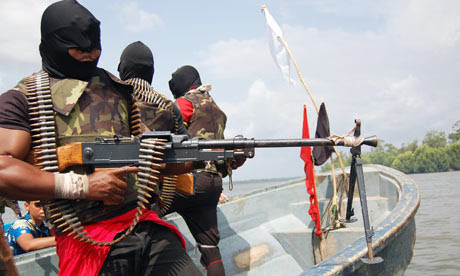 Signaling a relapse to militancy in the Niger Delta, report indicates that in addition to the Niger Delta Avengers, a fresh militant group which goes by the moniker - "Red Egbesu Water Lions" - has emerged in the region. Recall that on Tuesday night, May 17, suspected militants, blew up the Sagbama-Tuomo gas line, belonging to Nigerian Agip Oil Company, NAOC, at Egbembiri, Southern Ijaw local government area of Bayelsa State . About five victims were recently freed from kidnapper’s den in Omuma community in Rivers State, South-South, Nigeria when detectives from the Abia State Police Command swooped on their hide-out. Given the resurgence of militancy in the Niger Delta by Niger Delta Avengers, the British Foreign Minister Philip Hammond cautions that President Buhari needs to deal with the root causes because a military confrontation could end in “disaster”. 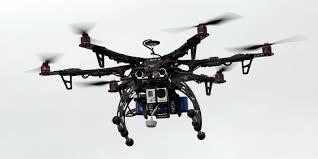 Punch newspaper reports that daredevil kidnappers have abducted two reverend sisters and their driver in the Kajola area of Ondo State, South-West Nigeria. 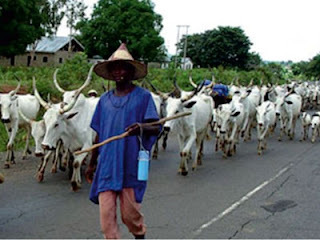 There seem to be no respite for farmers in Benue State Benue as report indicates that suspected dare-devil Fulani Herdsmen on Friday night, raided Tarfi village, Binnev Ward, in Buruku local government area and killed about 12 people. 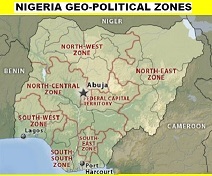 The United Nations Development Programme has named South-East Nigeria as the most human security secure geopolitical zone in Nigeria.South East Nigeria comprises the following states: Abia, Anambra, Ebonyi, Enugu and Imo. 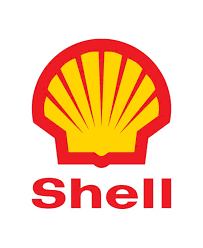 Sequel to resurgence of militancy in the Niger Delta and a two-week ultimatum by the Niger Delta Avengers for oil companies in the region to shut down operations, Exxon Mobil has reportedly declared force majeure on Qua Iboe crude after an accident the company claimed was not related to militant attacks. Preamble: This essay aims to critically analyze recent upshots: the relapse to agitation, militancy, bombing of crude oil and gas installations in the Niger Delta. Prevailing realities and information will be juxtaposed to help us reconcile or connect the dots between the remote, immediate causes of this reincarnated Niger Delta agitation and plausible socioeconomic and security implications. United States lawmakers examining the threat that terrorism poses in Africa on Tuesday expressed concern that the United States may be overlooking human rights and governance abuses by leaders in the region who provide assistance on counterterrorism issues. 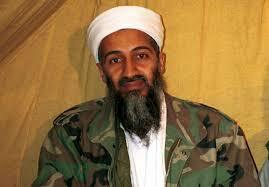 The former United States National Security Agency employee, Edward Snowden has claimed that he has evidence showing that Osama bin Laden, who was supposedly killed in Pakistan in 2011 by U.S. special forces, is still alive and well. New militant group known as Niger-Delta Avengers, NDA, warned yesterday that it had concluded plans to attack installations in Abuja, Lagos, Port Harcourt and Calabar. Punch newspaper reports that unknown gunmen in the early hours of Monday killed five policemen, including a Deputy Superintendent of Police, Mr. Nasiru Halidu (DSP). Reports indicate that another attack by suspected militants in the Niger Delta on NNPC Crude oil and gas pipelines has dealt a serious setback on the operations of two of Nigeria's refineries and power plants. The Nation newspaper reports that four Nigerian Navy ratings attached to an oil servicing company are feared killed in an ambush by suspected militants in Nembe creek, Nembe Local Government of Bayelsa State, South-South, Nigeria. 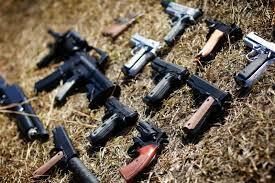 A national survey on small arms and light weapons is currently underway in Nigeria, to put figures to the menace of the proliferation of arms in the country, especially with the continued success in the fight against insurgency. True to their threat a while ago, at about 22:40 hours on Wednesday, 4th May, 2016, the Niger Delta Avengers claims to have blown up a Chevron valve platform at Abiteye, Warri North Local Government Area of Delta State, South-South Nigeria. This platform is said to be the most significant platform for chevron because it’s the main connecting point where all other platforms linked up and it’s a fulcrum to chevron BOP and the Chevron Tank farm. With the valve platform blown all chevron activities are now halted. 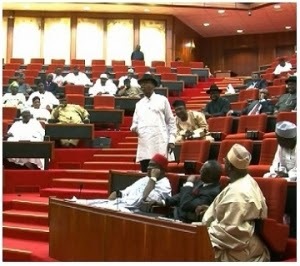 Given spike in kidnappings in Nigeria, the Nigerian Senate on Wednesday said it would soon pass a bill for a law that would make kidnapping in Nigeria punishable by death. Symptomatic of pervading insecurity and kidnappings in Nigeria, unknown gunmen in the early hours of Tuesday, 03/05/2016 reportedly invaded the University of Calabar, UNICAL staff premises and kidnapped a lecturer, one Dr Stephen Ndifon of the School of Medical Sciences and two other students. The victims were taken to an unknown destination. Following recent denial by Chief Government Ekpemupolo aka Tompolo, that he is not associated with the Niger Delta Avengers, the later has issued a stern warning to Tompolo to apologise to it for taking sides with the Nigerian government or face severe consequences. 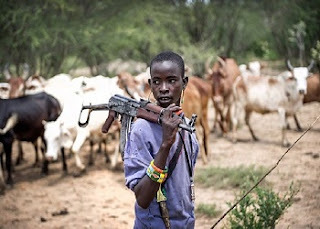 The militants threatened that if Chief Tompolo fails to apologise, it "shall bring the war to your doorstep by blowing up all oil installations within your backyard (Gbaramatu Kingdom)"
Daily Trust newspaper reports that plausibly 20 herdsmen and 83 cows were reportedly killed over the weekend in Adayi and Loko areas of Nasarawa LGA of Nasarawa State by gunmen suspected to be from the riverine areas of Benue and Nasarawa states. Punch newspaper reports No fewer than nine persons were killed in two separate attacks by some gunmen who invaded two communities in the Ahoada East Local Government Area of Rivers State. Premium Times reports that no fewer than 10 unknown gunmen on Friday night kidnapped the pregnant wife of Ubong Assam, the paramount ruler of Esit Eket in Akwa Ibom State, South-South, Nigeria.